J.D. 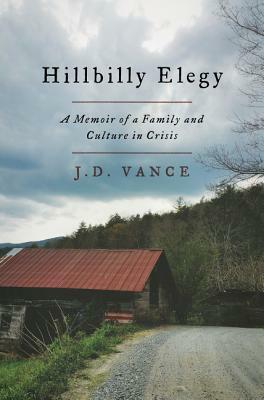 Vance, Hillbilly Elegy: A Memoir of a Family and Culture in Crisis. New York: HarperCollins, 2016. [NOTE: An inveterate reader of op-eds, I was well aware of this book months before I bought it. 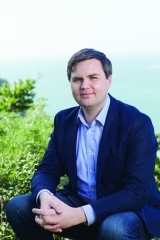 According to commentators across the American political spectrum, Hillbilly Elegy was a work to be reckoned with; one reviewer even described it as the “Rosetta Stone” for those who were really interested in understanding the political appeal of 2016 Republican presidential candidate Donald Trump to the white working class in the so-called “Rust Belt.” Liberal and progressive columnists generally opined that Democratic candidate Hillary Rodham Clinton would ignore Vance’s findings only at her peril; conservative writers found hope that the Republican Party’s policy prescriptions might prevail, even if some of them clearly doubted that Mr. Trump could, or should, win. Like many Appalachian natives during the 1940s, J.D. Vance’s grandparents, Jim and Bonnie Vance, whom he refers to as “Papaw” and “Mamaw,” left home (in their case, a “holler” near Jackson, Kentucky) and moved to the industrial Midwest in search of steady work. Papaw found a good-paying job at the Armco steel plant in Middletown, Ohio, and things looked rosy, at least for a time. 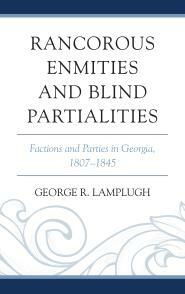 Yet, as had been the case a generation earlier, when thousands of African Americans abandoned the Jim Crow South for economic opportunities in Chicago, Cleveland, and Detroit, white Appalachian migrants like the Vances experienced culture shock that they never outgrew. The elder Vances had brought their “hillbilly” culture with them. They clung stubbornly to the American dream, especially their faith that education would improve the lives of their three children, but cultural dissonance and family dysfunction were everywhere. And, if that wasn’t enough, those “good jobs” eventually disappeared, thanks to technological innovation, automation, globalization, the steady decline of labor unions, and business decisions made in the interests of corporate and shareholder welfare, no matter their effects on the workforce. J.D. Vance describes “hillbilly” culture as “a robust sense of honor, devotion to family, and bizarre sexism” that could produce “a sometimes explosive mix.” (41) For example, Papaw was a violent drunk while his wife proved to be a violent non-drunk. Mamaw once threatened to kill Papaw if he ever came home drunk again, but he ignored his wife’s warning. The next time Papaw passed out on the sofa, Mamaw set him afire with gasoline; although Jim Vance survived the ordeal, his marriage was fractured. Papaw moved to another house in the same neighborhood but still spent time with Mamaw, and their grandchildren moved easily between them. J.D.’s mother, Bev, was also a piece of work. She became pregnant while still in high school, married early, and embarked on a life featuring a series of husbands and boyfriends, as well as regular bouts of drug addiction. J.D. and his older sister Lindsay looked out for each other as best they could and found support from their grandparents when their mother was indisposed or otherwise unavailable. And did he ever! Feeling unprepared for college, J.D. chose after high school a tour of duty in the U.S. Marines, just as the first Iraq War broke out. Basic training replaced the “learned helplessness” of Vance’s youth with the “learned willfulness” of the Corps, and enabled him to “live like an adult,” even in the face of Mamaw’s death and his mother’s continuing escapades with significant others, drugs, and time spent in rehab. His military service behind him, Vance attended Ohio State University, where he graduated in less than two years, thanks to his military-induced self-discipline, truly impressive work ethic, and native intelligence. Then it was on to, of all places for this self-conscious “hillbilly,” Yale University Law School, where the generous financial aid package he was offered made his acceptance a foregone conclusion. Three years later, the newly-minted attorney and his wife Usha, a law school classmate who had taken him in hand and “civilized” him, became law clerks in northern Kentucky. Thereafter, Vance took his talents to Silicon Valley, where he was very successful financially. 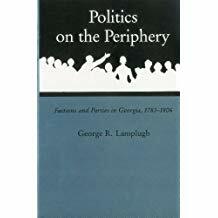 In looking towards the future, Vance returns to the social sciences, this time citing a study showing that “no group of Americans [is] more pessimistic than working-class whites,” and another finding economic opportunity and the prospects of social mobility for children in the United State unequally distributed geographically, with kids in the South, the Rust Belt, and Appalachia continuing to struggle. Among the factors cited to explain this are the prevalence of single parents and income inequality, which suggests to Vance that social services need to be reformed so that they can actually help children like the ones he grew up with. Vance concludes that “the government” cannot “fix” every problem, and that it does no good simply to blame either the President or the government for this systemic failure. Rather, he argues, it is more important to “ask ourselves what we can do to make things better.” (265) And Vance seems ready to take his own advice: he is, according to recent reports, planning a move to Columbus, Ohio, to launch an organization to tackle the opioid epidemic in the region where he grew up. Whatever one thinks about J.D. Vance’s prescriptions for administering public policy CPR to the Rust Belt’s white working class, this book is an engrossing read. The account of growing up amid family dysfunction, clashing cultures, and economic decline is powerful—and at times scarifying. The reader eagerly follows Vance’s quest for social and economic redemption, a decent chance to live out the “American Dream,” wondering how he will avoid the fate of so many of his friends and relatives caught up in the clash between “hillbilly culture” and the declining Industrial Midwest. And, when Vance actually does make it from Middletown and the Rust Belt to the Marine Corps, Ohio State, Yale Law, and Silicon Valley, he is careful to point out landmarks along his escape route: the influence of certain family members (especially Mamaw, Papaw, and Vance’s older sister Lindsay); Usha, the woman who helped him through law school, taught him to function among the upwardly mobile, and became his wife; the importance of finding a mentor or two along the way; the power of networking; and unusually good luck. Although it seems unlikely that many of those Vance is determined to help will be able to duplicate his success, the story of his escape to a better life remains both eye-opening and inspiring. This entry was posted in American History, Books, Current Events, Education, family history, Historical Reflection, History, memoir, Popular Culture, The "Great Migration", Uncategorized, WP Long Read and tagged "hillbilly culture, "post-World War II American history, economic history, election of 2016, J.D. Vance. Bookmark the permalink. Thanks for the review. I’ve had this book on my “to read” list since it came out and now I’m inspired to bump it higher up that list. It is vitally important, I think, that stories like this be told. I hope you enjoy the book, Bill; I know I did. And, as always, thanks for your comment!